« Conversation Starter or Stopper? I have been working my way through the May Elle magazine. I was looking for a picture of a fabulous sequined dress by Ashish to share. (Black covered with flamingos and palm trees…trust me…it was fabulous!) 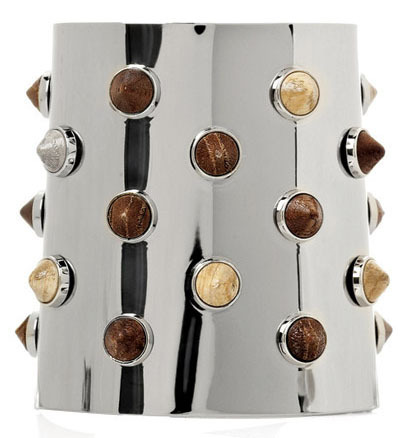 Unfortunately, I did not find a great picture of the dress but I did find a link to Spring 2010 jewelry and this fabulous cuff from Fendi. In this case plan B wasn’t so bad!! !